One thing there is no shortage of here in Hong Kong is rain. Some days there's enough of it that I could almost be back in Yorkshire, were it not for the fact that it is accompanied by temperatures that God's Own Country has never experienced. There is also a difference in the delivery of that rain, the yearly average rainfall here is 2300mm with the majority off that in five months from May to September, while for reference the UK average is a mere 885mm. Better yet, out here, there will be blue skies one minute with absolutely no warning of the torrents that are about to come the next before reverting to a cloudless sky all in under ten minutes. That's right- 60% of the UK average rain in a single day with a surface area 220 times smaller! The geography doesn't do much to help things either. If you've never been here, Hong Kong has a fairly small strip of developed land at the bottom of steep hills which work to funnel all that rain straight through the developed areas. 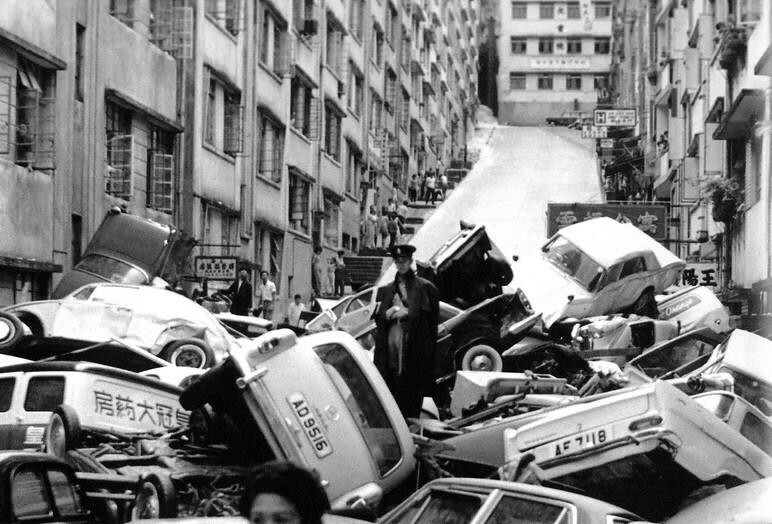 If you've not already gathered, what I'm getting last is that Hong Kong has historically had a bit of a problem with flooding. 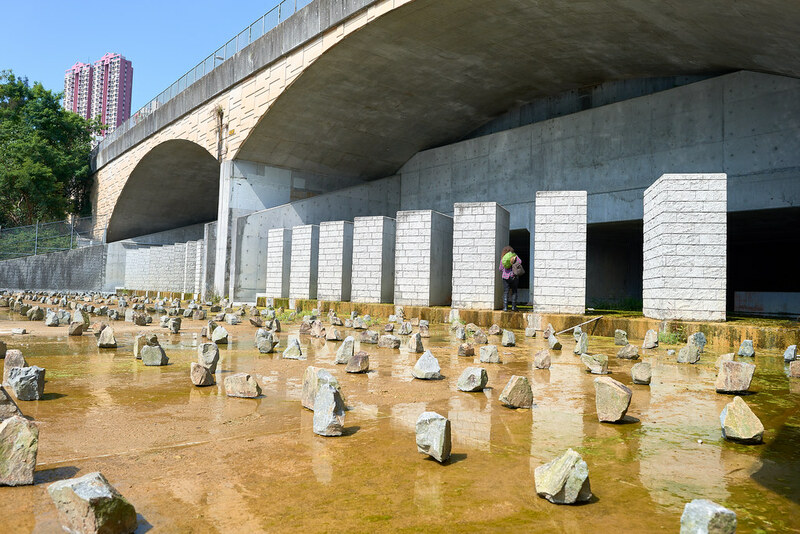 In response to this between 2007 and 2012 the Hong Kong Government have spent billions of dollars building three stormwater interceptor systems designed to cope with 50 year storms. 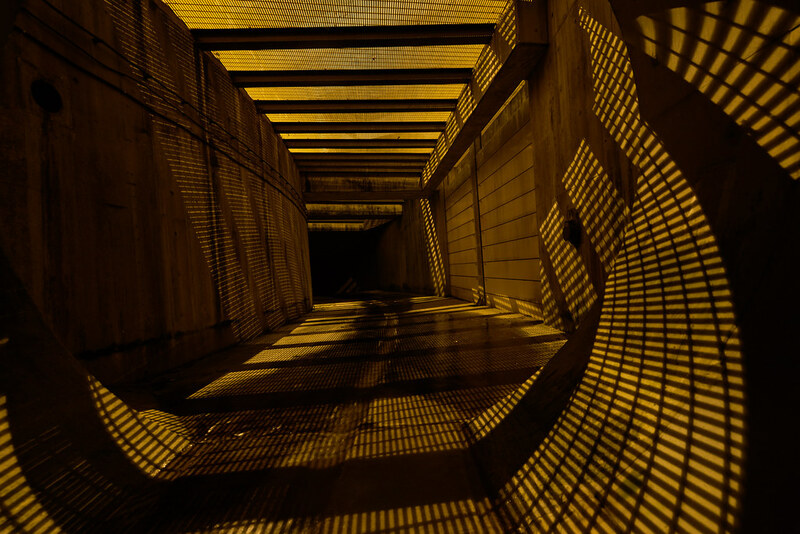 Three years ago I posted the West Drainage system here - https://www.28dayslater.co.uk/threads/hong-kong-west-drainage-tunnel-apr-16.102856/ but then found myself occupied with a different kind of tunnel for a while. I never felt that I managed to properly photograph it to show the actual scale though, so I went back recently to have another go. 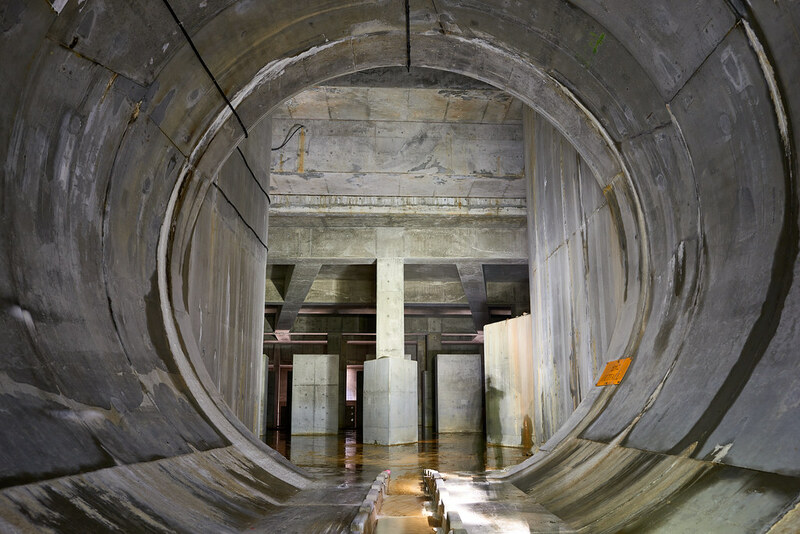 The TBM tunnel at the far side is 8.3m diameter.. 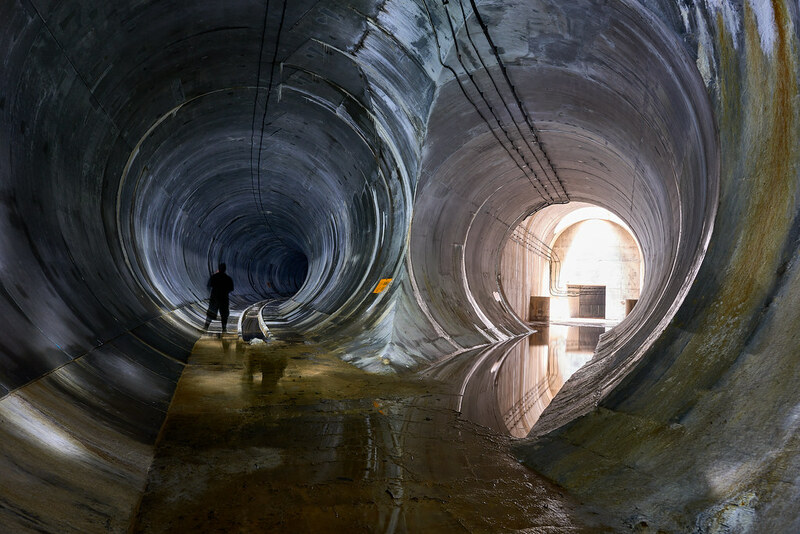 While the West Drainage is the longest, with a 10.5km main tunnel and a design capacity of 155 cubic m/s it's actually not the largest of the three in terms of sheer volume - that prize goes to the Tsuen Wan Drainage Tunnel with a capacity of 204 cubic m/s. That's about an Olympic pool every five seconds. 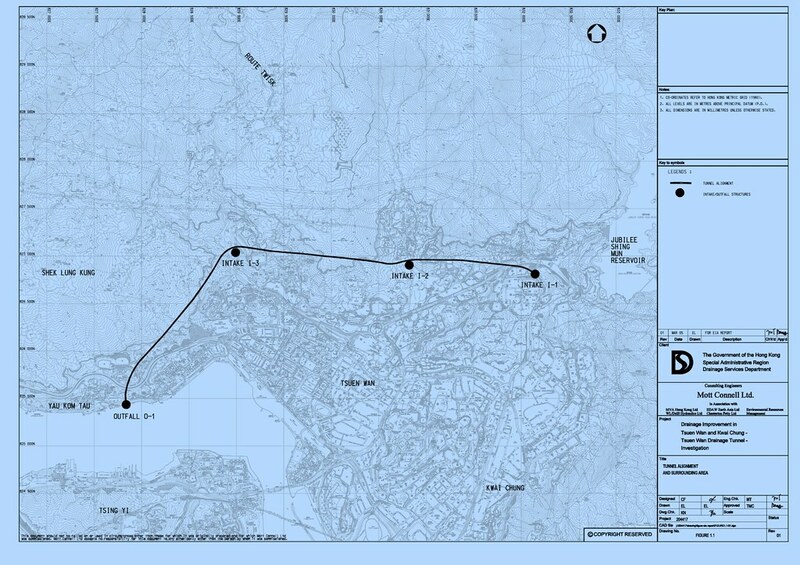 The Tuen Wan system is 5.1km of 6.5m diameter tunnel with three intakes. 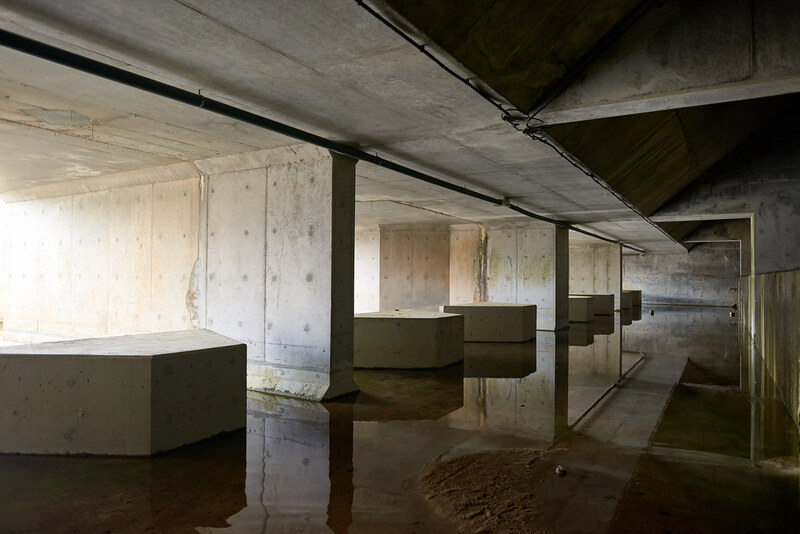 The outfall structure is quite something. 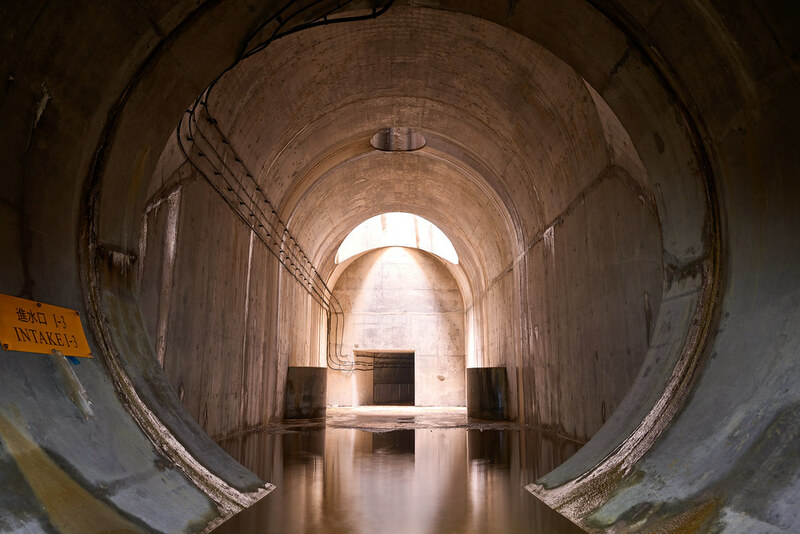 There are four tumbling bays which drop the flow thirty metres from the main shaft level to sea level at The Rambler Channel. 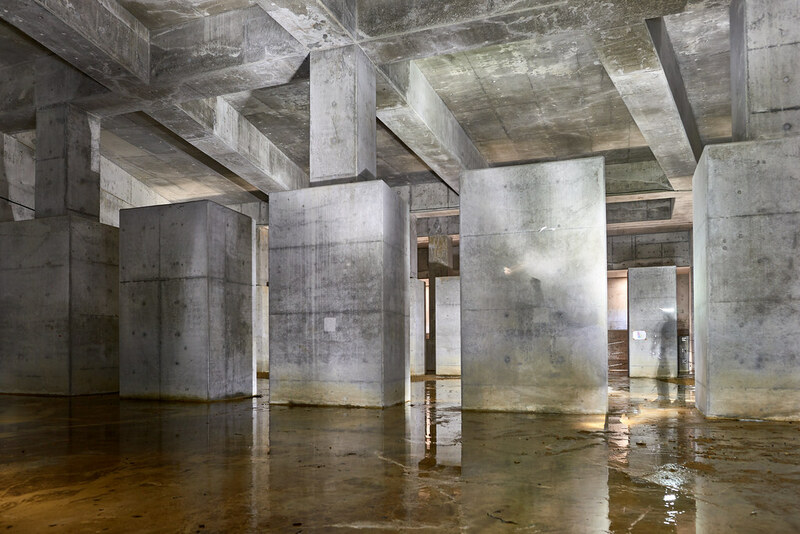 At the top there are a series of concrete blocks in a fairly large chamber which act as a stilling structure. 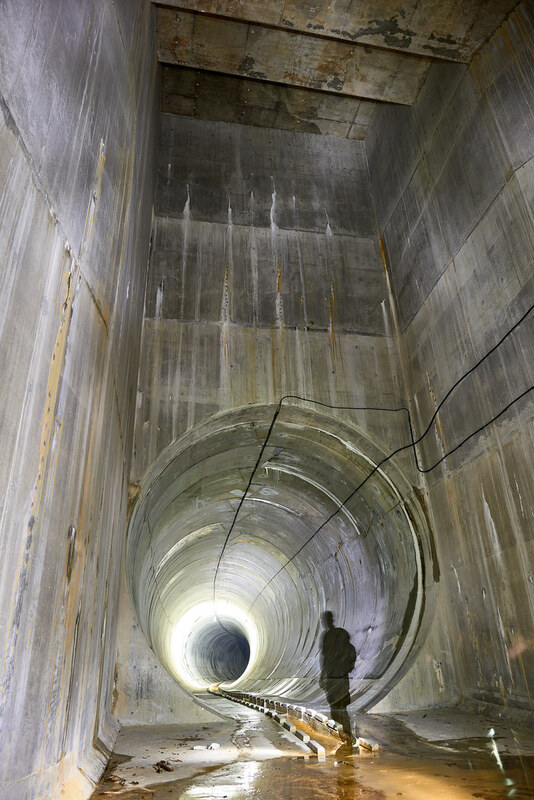 The main shaft seems to be suffering badly from calcification leeching between the tunnel ring blocks. 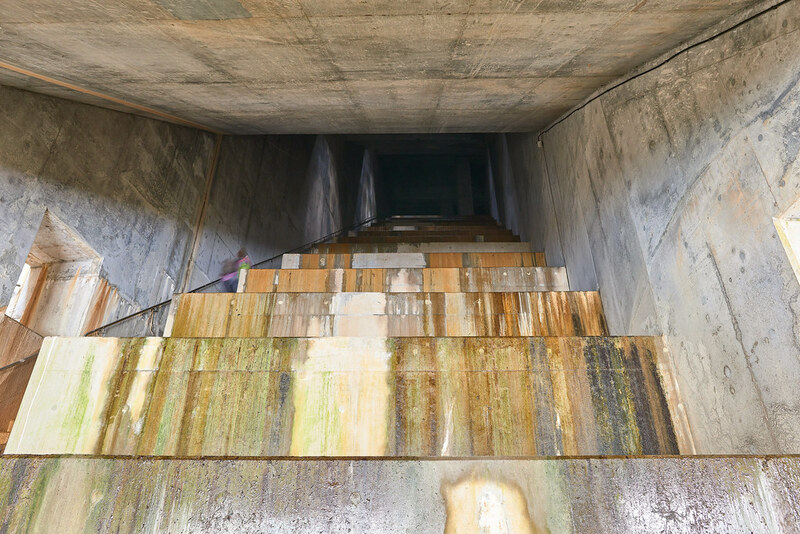 At the bottom of the first intake is another large stilling chamber, with a spiral staircase access shaft through the doorway at the far side. 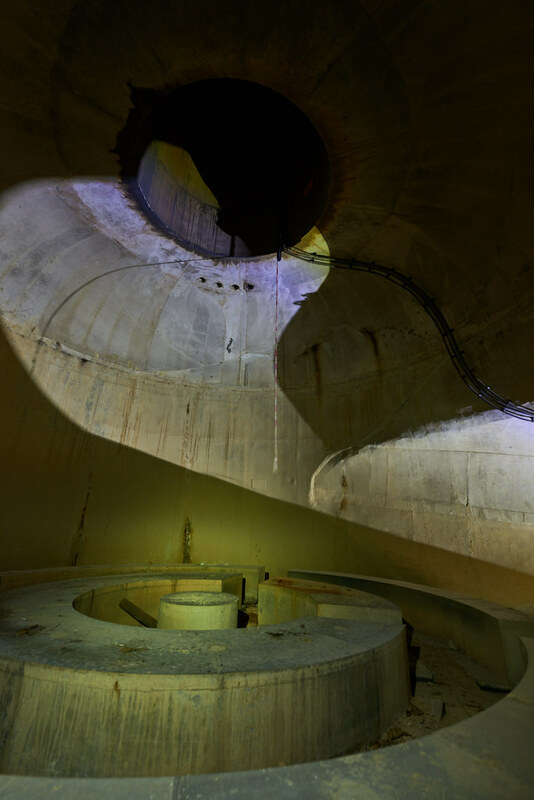 I didn't take any photos of it, but there's also a spiral access ramp big enough to drive a truck into the tunnel should you be that way inclined. 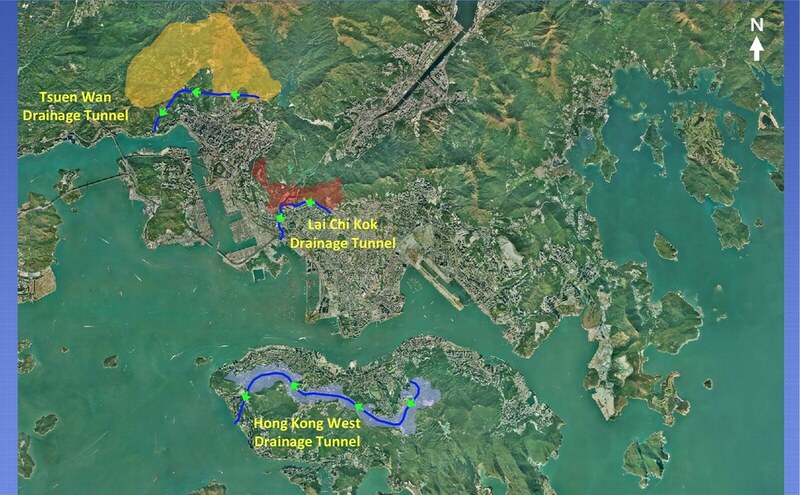 Next up is the Lai Chi Kok Drainage System. 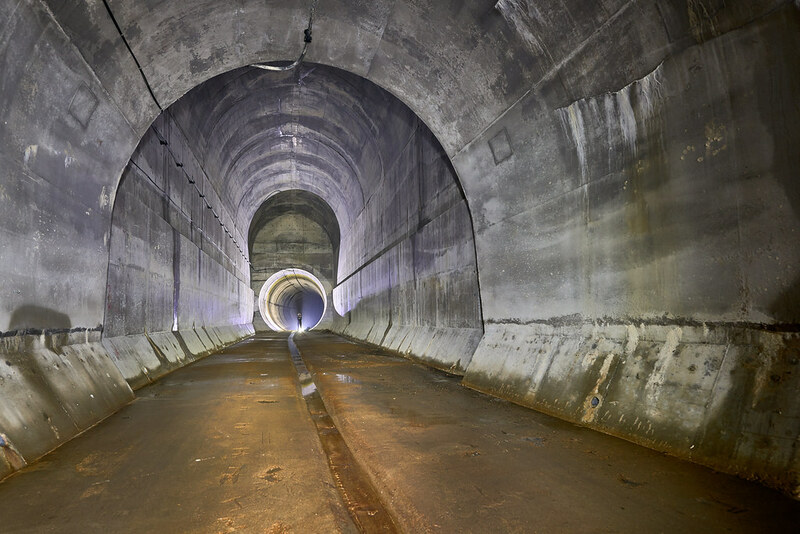 Lai Chi Kok is a mere 3.7km long with 4.9m diameter main tunnels. Despite that, the Y shaped stilling basin structure has learnt it the name Leviathan. 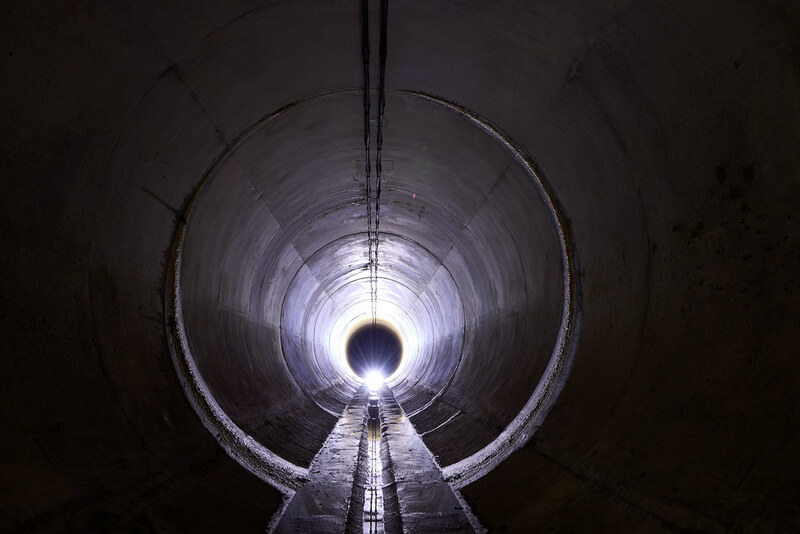 Popular opinion is that this just might be the worlds biggest drain.. 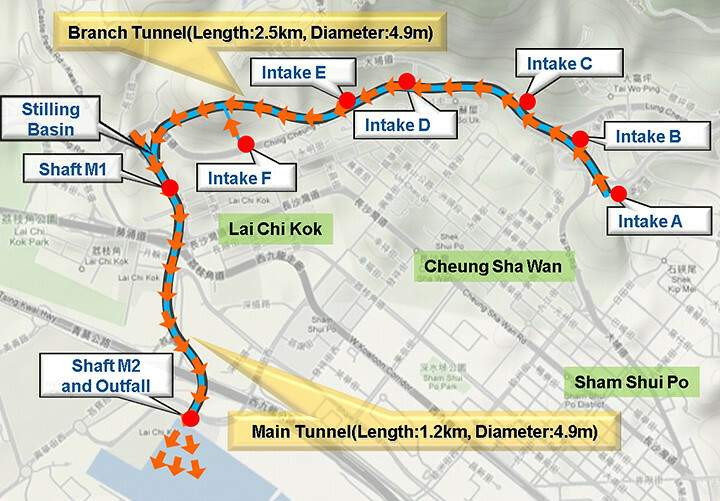 It's quite an interesting design actually the Kai Chi Kok system, only the 2.5km branch tunnel is accessible. 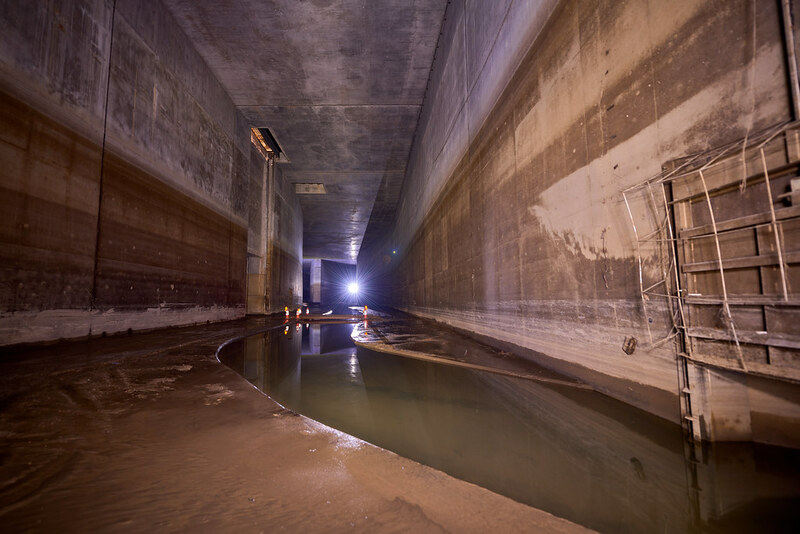 The 1.2km main tunnel doubles as a kind of detention tank. 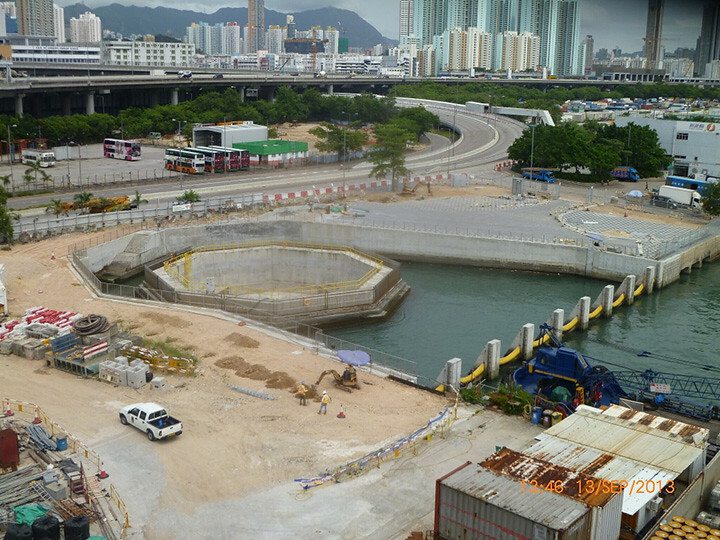 Downstream from here is a huge plughole that drops 45m to the tunnel level before reaching another outflow plughole at Victoria Harbour. 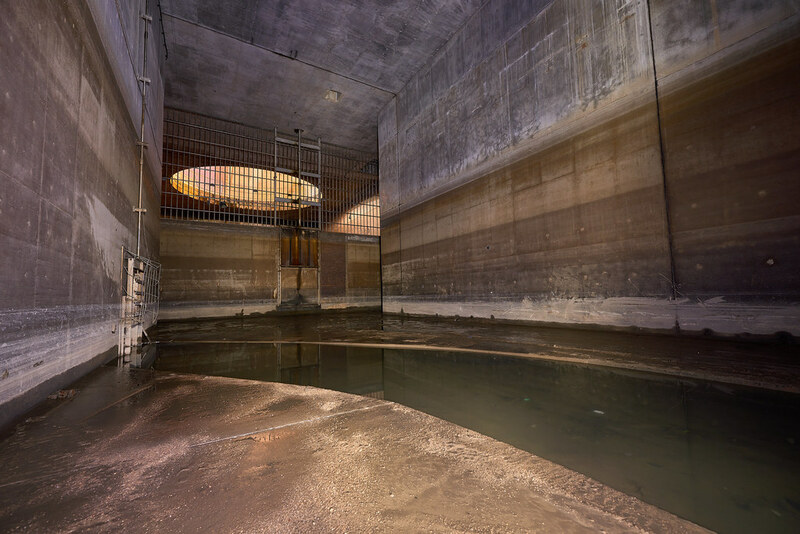 When there is a storm, first the stilling basin will fill until the water reaches the level of the first plughole, then the main tunnel will fill with water until the hydraulic pressure means it starts to overflow at the harbour end. 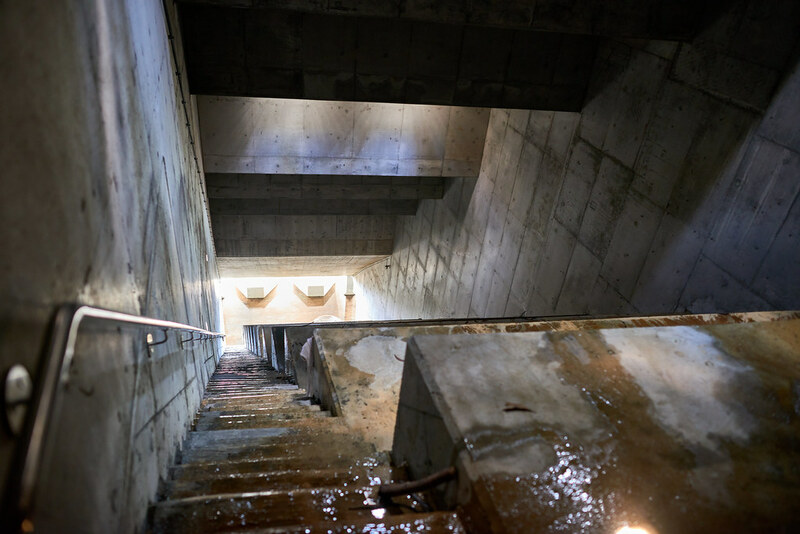 That stored water is then filtered and used for toilet flushing, street cleaning and irrigation. Looking back from the wall just before the plughole shows the size of the chamber also, I'd guess the tide marks on the walls are probably 8m high. 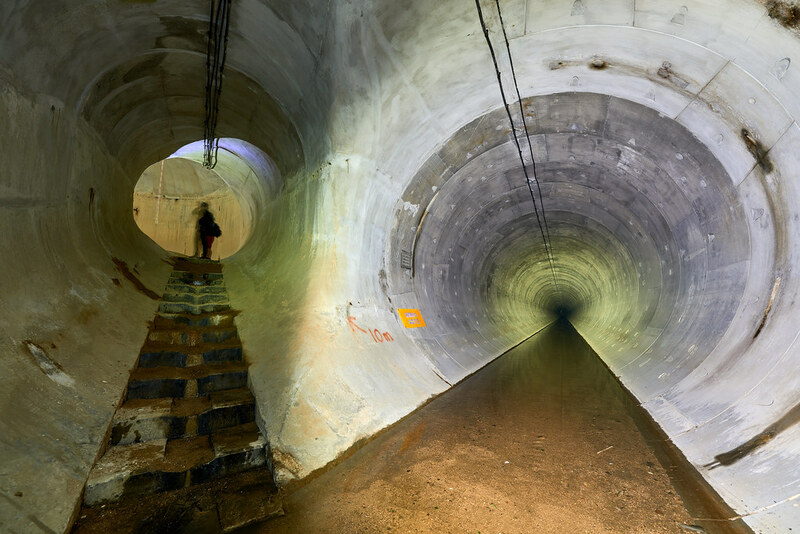 When I took the photos the Drainage Services Department were doing the annual spring clean, there was a full sized excavator in an access tunnel to the left and the traffic cones mark a temporary bright that had been built to allow it to work. 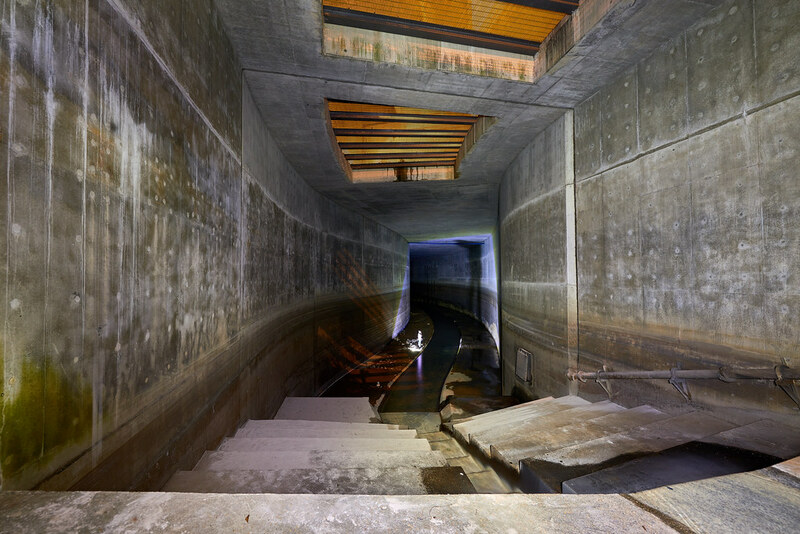 A short distance behind where the first picture was taken is this inflow structure with a stream constantly flowing through. 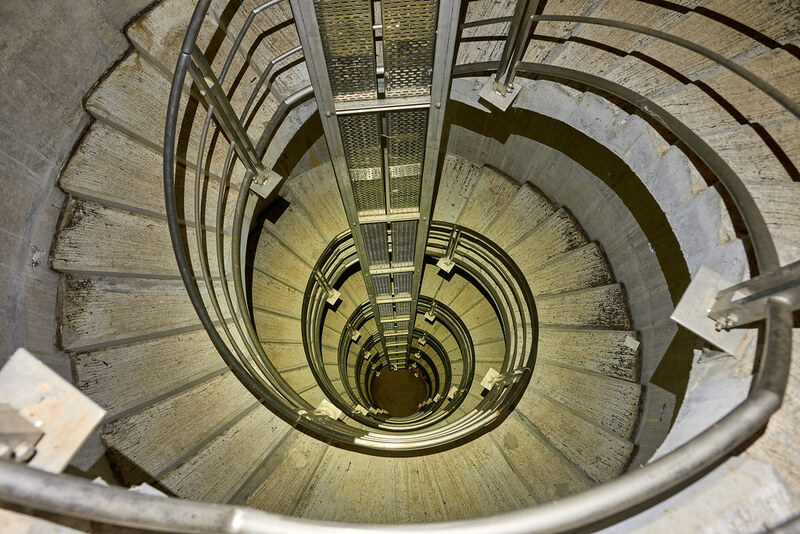 Following the other arm of the Y takes us to the branch tunnel via this staircase with ventilation at the top. 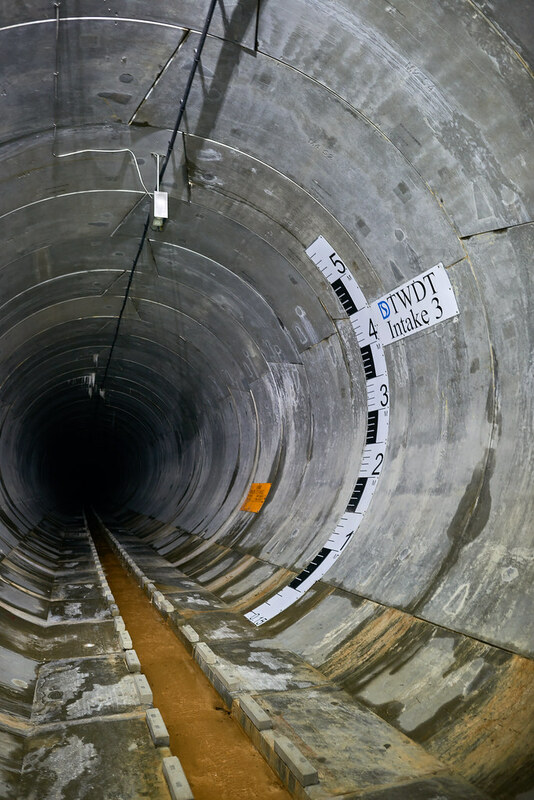 A short distance into the branch tunnel is a long adit for the first intake. The next was much shorter. 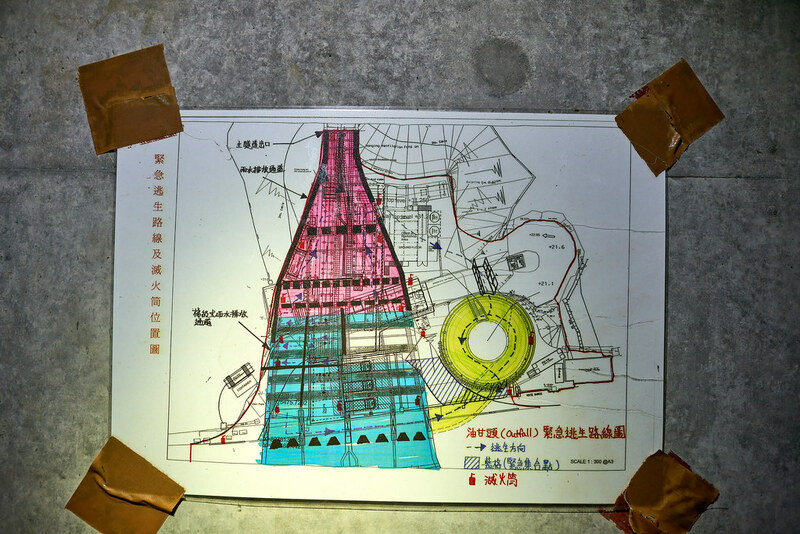 All the intakes have the same kind of altar structure at the bottom of the drop shaft, obviously an energy dissipating kind of thing, I was surprised that they are actually made from metal! If you're still with me after all that, thanks for looking! Stunning, needs a proper look when I’m at computer later. What no st00ping? Amazing stuff, great report! Immense as always, big man! 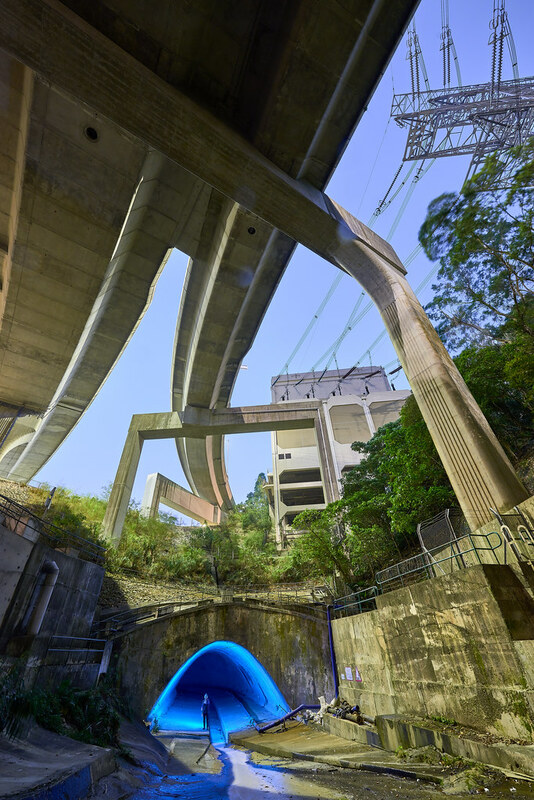 Thanks for posting, I had wondered about the Tsuen Wan one for ages, so that was a good read. 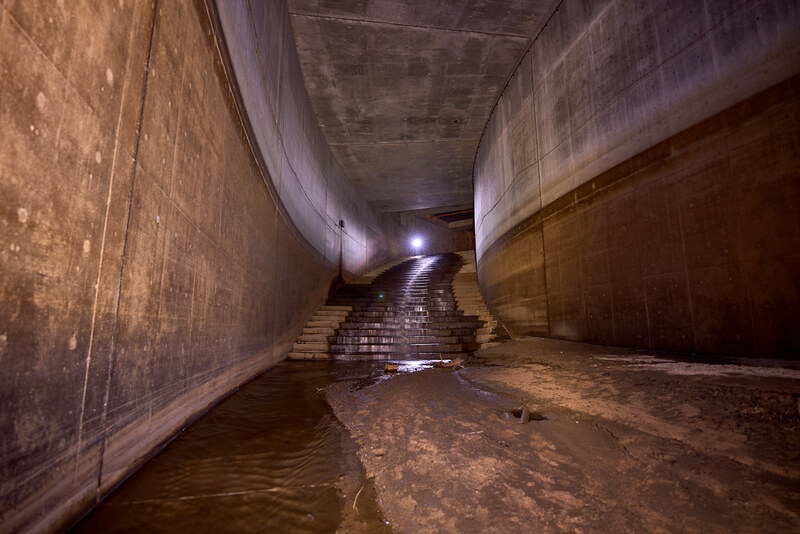 Seems they are designed to handle a lot of flow, immense outfall with baffles! Fugging ace, booking flights as we speak. That’s unreal. Amazing report. As I was reading and looking at your photos I kept thinking “that’s amazing” and “it can’t get better than that” then with each photo it just got better and better. Bit more headroom than the one we explored last Summer. Epic stuff good Dr.